The Lord has been so good to us in the past months while doing His work here in Southern Philippines. I was assigned to work as an assistant of the District Pastor in Mlang-Tulunan to do ground preparation for the upcoming crusade of the Women’s Ministries of South Philippine Union Conference. Pag-asa M’lang , Cotabato is a very challenging yet inspiring place because it is very remote with good atmosphere due to the high mountains surrounding it. My partner and I hiked some 5 miles from the highway to visit the houses of the Blaan Tribal people. That day I felt the same emotions the disciples of Jesus had during the Bible times. Searching for a precious soul is such a difficult task but it has to be done. We met Paul Panta, a Blaan native of Pagasa. Paul said that he was very blessed because in his 10 years of living in that place, he had attended many protestant churches but felt something was still missing in his life. He had so many questions, which were answered during our Bible studies. Paul decided to be baptized. Then Paul introduced us to his friends and relatives and we gave them Bible studies as well. The Holy Spirit worked and we baptised 25 precious souls in that place. Then we visited Barangay Bacong in Tulunan. We conducted a satellite crusade for a week. We rode our motorcycle some 30 miles to reach Bacong. We did house-to-house visitations. While there, we met Laiding Ganti, the sister of the Barangay Captain. We shared the words of Jesus with her and in her excitement, she introduced us to the Barangay Captain. We felt so blessed in that place. The Barangay Captain told us to be very careful because there were many Christians in the past who had lost their lives there. Some of the natives are rebels called New People’s Army who are against the government. 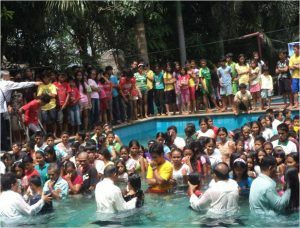 After the tremendous experience that we had there, our work resulted to the baptisms of 94 precious souls. A few weeks later, we visited SitioTibok, the farthest place of Brgy. Bacung surrounded also by mountains. On our way there, we got lost. We met a high school student and asked her to be our guide but she refused. She was previously warned not to trust strangers but after showing her our Adopt a Minister ID, she gladly showed us the way. We walked 6 miles and reached SitioTibok. The scenery around our narrow trail was breath-taking and we praised God. 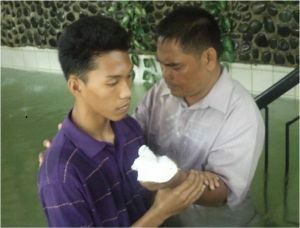 After giving Bible studies to the people in that place, we were able to present 37 precious souls for baptism. So all together, we had 468 precious souls baptized in our district. 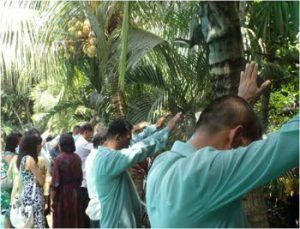 God has blessed the work in the Mlang-Tulunan District. To God be the glory! My next assignment was Marvel South Cotabato. There were 10 laymen and 12 adopted ministers paired by twos. We did ground preparation for the upcoming Revelation of Hope Seminar of Elder Caderma. Another inspiring and very challenging place, SitioTolusa Village is 7 miles from the city. My partner and I immediately started our work and praise God, 14 precious souls accepted Jesus Christ there. 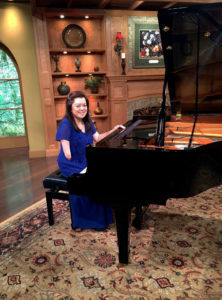 I can truly say that in spite of the many challenges, there is so much joy in working for the Lord. There were many though who didn’t want to get baptized so at midnight, we earnestly prayed for the Holy Spirit to convict their hearts. We shared with the people what little food we had. Later we found out why they did not want to be baptized. Their tribe leader ordered them not to get involved with Adventists. Yet, there were some who appeared for baptism the following Sabbath. We presented 14 precious souls to God in that place and for the whole duration of the seminar a total of 96 precious souls accepted Jesus through baptism. Ma’am Reva, from the bottom of our hearts, my wife and I want to thank you and our sponsors for your prayers and financial support. May the Year 2012 be a successful year for soul-winning for Jesus.